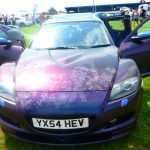 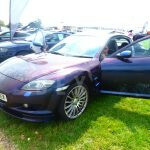 I attended the show in 2018 with a completely new show car, the rx8. 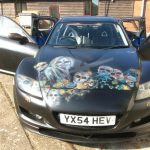 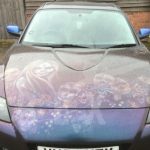 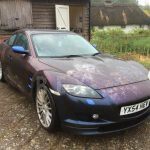 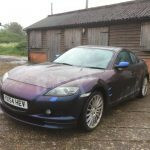 Using a new product for the base of the design and being one of the first UK airbrush artist to Paint over liquid wrap to create a unique but removable show look for a vehicle. 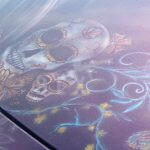 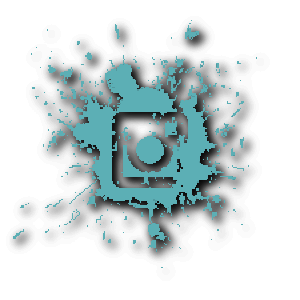 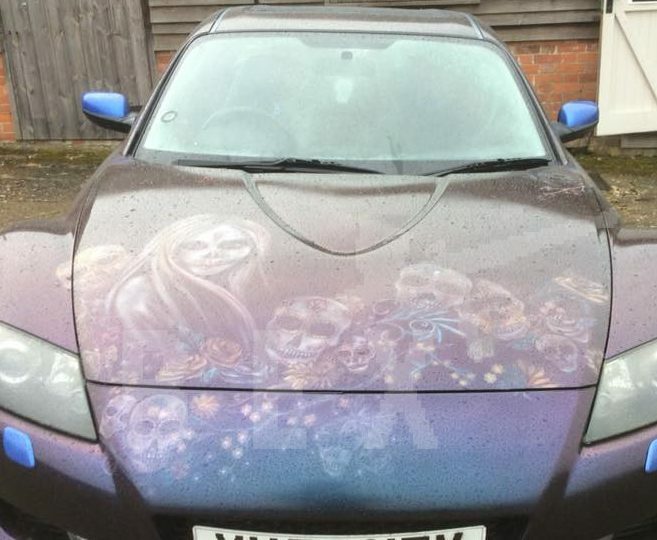 The design was created spraying black base liquid wrap adding a day of the dead airbrush design then finishing with a purple/blue/green/orange flip pearl pigment and high gloss top coat.